To access this properties web site, copy and paste this address in your browser, WWW.antelopevalleysubdivision.com This property consits of 127.3 acre planted to mature Manzanillo olives. 10 acres are newly planted in 2017. This property has been subdivided into 43 lots, each lot is approx 2.5 acres each, with one lot over 4 acres. All required State and Tulare County studies including environmental impact report have been completed. 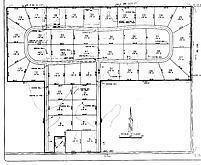 Property is approved for engineered septic systems. Developer to complete streets as per Tulare County specifications.Acreage is watered thru 26 wells, 16 with pumps. Olive trees watered thru solid set sprinklers, 144GPM FlowGaurd fanjet filtration system. Listing provided courtesy of Steven Herring of Coldwell Banker Premier R.E..